A new study from the University of Illinois Chicago found early-stage colon cancer patients who received chemotherapy after surgery had increased survival rates. This study was groundbreaking because previous studies had only looked at higher risk cancer patients. This study, on the other hand, looked at stage 2 cancer patients. In new research published in Nature Biotechnology, scientists created a human colon model to study the development of colon cancer. Did you know that getting the recommended 7-9 hours of sleep per night has huge impacts on your health? Getting enough sleep reduces inflammation, clears your head, helps you lose weight, reduces stress and promotes faster healing. Losing weight and reducing inflammation can also help you reduce your risk for colon cancer. Check out the infographic below for more details! Last week, the United States Preventive Services Task Force (USPSTF) updated its recommendation guidelines for screening for colon cancer for the first time since 2008. Heart disease and cancer have one huge similarity: healthy lifestyle choices can reduce your risk for both. While people tend to consider cancer a stroke of bad luck and unpreventable, that might not be true. According to a couple of new studies, certain types of cancer are preventable, similar to how we can prevent heart disease. Yesterday, Vice President Joe Biden held the first ever Cancer Moonshot Summit at Howard University in Washington D.C. Community-organized Summits were also held all over the country and even in the UK. In his State of the Union Address, President Obama gave Joe Biden the task of leading a national effort to end cancer, henceforth called the Cancer Moonshot Summit. According to the Summit official website, the goal is to "double the rate of progress to the cure" and "make a decade worth of advances in five years." According to new research, the more regularly you visit your doctor, the more likely you are to get screened for colon cancer. 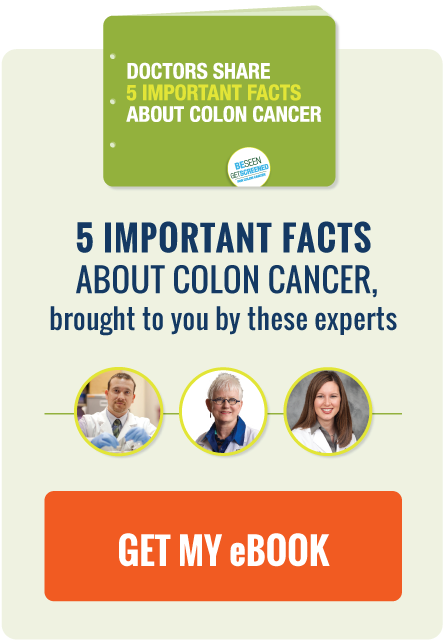 Only half of adults are up-to-date on their colon cancer screening, so this is an important find. Recently, lots of research about high intensity interval training has "HIIT" the scene. For example, in a recent study from McMaster University in Ontario found that just one minute of high intensity training yielded the same health benefits of forty-five consecutive minutes of stationary biking. Participants in either category showed greater endurance, higher insulin resistance, and muscle gains. It turns out eating garlic and subsequent stinky breath might have cancer fighting properties.